On August 28 at 19:14 the turbine generator TG-14 of the generating unit № 5 of the Novovoronezhskaya nuclear power plant was restarted after the preventive maintenance and refueling. During preventive maintenance the turbine and reactor compartments of the generating unit № 5 were dissasembled and repaired, there was a checkout of the state of the metal reactor and its top unit with an overload of the core. Capital and maintenance repair of steam generators, main circulating pumps and motors were carried out, as well as the maintenance of main shutoff valves. 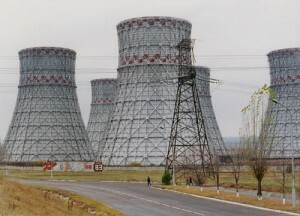 The generating units number 3 and number 4 of the Novovoronezhskaya NPP operate normally. There are no violations of limits and conditions of safe operation of generating units there.